The fourth annual Community Day, highlighting workshops and training held at the Summer Peacebuilding Institute (SPI) and the Center for Justice and Peacebuilding at Eastern Mennonite University, will focus on building justice at the community level. Titled “Cultivating a Justice-Oriented Community,” the Feb. 15 event will include a morning plenary speaker, workshops, opportunities for networking, and a catered lunch presentation. Read more about Community Day, and then register! The annual event is modeled after the Summer Peacebuilding Institute, which is held on campus every May and June. Since 1994, more than 3,200 people from 120 countries have attended SPI, gaining concrete strategies and practical skills for cultivating a world organized around principles of justice, equity and dignity, and rooted in right relationship with our planet and with one another. 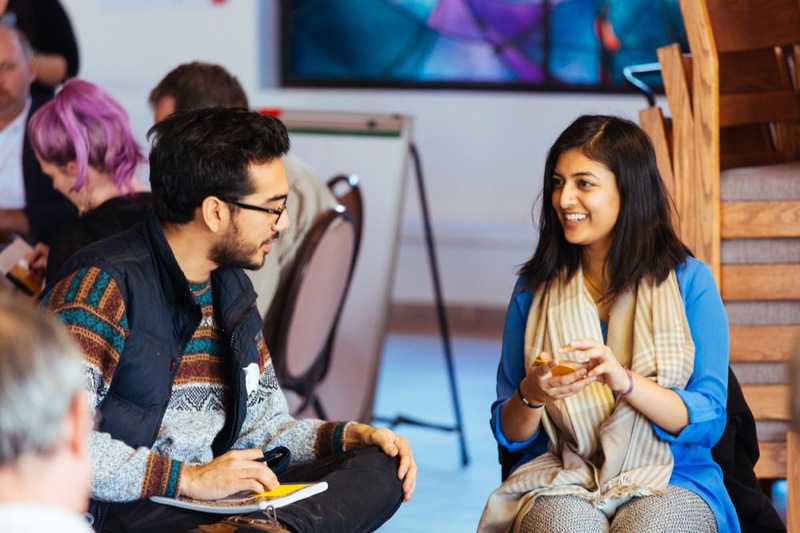 This summer’s four sessions will focus on topics such as the nature and dynamics of conflict and violence, truthtelling and racial healing, trustbuilding, circle processes, peacebuilding approaches to violent extremism, and more. Included in the $50 Community Day registration cost ($25 for EMU faculty, staff and students) are a waiver code for the SPI application fee, a copy of a Little Book of Justice and Peacebuilding, lunch, morning coffee and pastries, and two 90-minute workshop sessions. The morning plenary speaker will be associate professor of teacher education Kathy Evans, on the work of restorative justice in educational contexts. The lunchtime presentation, titled “Rewilding Justice: On Sourdough and Transcending Incarceration,” will feature Soula Pefkaros of Gray Jay Provisions, a Harrisonburg sandwich shop and market. Pefkaros earned a master’s degree in conflict transformation with a restorative justice concentration at EMU’s Center for Justice and Peacebuilding, and is completing her doctoral degree in depth psychology at Pacifica Graduate Institute. “Trustbuilding in Organizations and Communities,” presented by Barry Hart, professor of trauma, identity and conflict studies at EMU. For more information or to register, visit the Community Day website.